These regulations are in place to help keep you and your exotic pet safe. Recently, there was a local story about a man who was caught trying to sell a Nile monitor lizard via a Facebook group. The Massachusetts Environmental Police apprehended him, fined him and removed the lizard from his possession, finally bringing it to a facility licensed to care for reptiles. Customarily, the comments section of the published articles was a mixed bag of opinions. 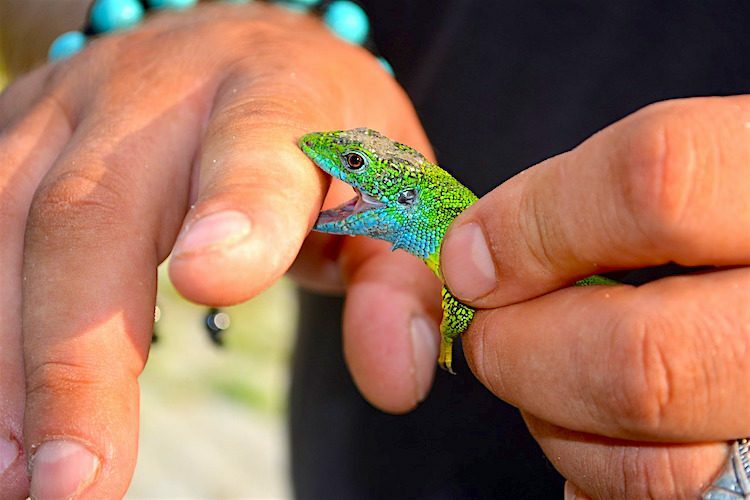 Some stated that they were glad the lizard had been removed from the man’s care, citing the special needs of a lizard as well as state and federal mandates. Others jeered, calling the operation nothing more than a way for local authorities to issue fines and harass the general populace. No matter which side of the line you fall on, it cannot be disputed that reptiles are not like dogs, cats or goldfish. They have different needs that must be fulfilled so they can survive. Some reptiles grow to sizes that make them dangerous to untrained humans; for example, the Nile monitor lizard can grow up to 7 feet in length and weigh up to about 30–40 pounds. With the prevalence of shady sales via social media, it’s time to talk about responsible reptile adoption and why the laws matter. Reptiles don’t see the world the way that dogs and cats do; they are, for lack of a better comparison, not as domesticated and therefore genetically closer to their Jurassic ancestors. “Some people believe that the key element of relationship building is missing in reptiles since they lack our limbic system and emotions,” say Nicole Nicotera and Julie Anne Laser-Maira in their book Innovative Skills to Support Well-Being and Resiliency in Youth. This is not to say that reptiles are emotionless — simply, they will not feel a bond in the same way you do. To create a bond with a reptile, you will need to handle them regularly, yet be aware of your particular reptile species’ needs, as well as how their signs of fear and aggression manifest. Many reptiles have the ability to do a significant amount of damage, so they require someone who understands how to bond with them. Reptiles are cold-blooded, which means they don’t regulate their internal body temperature the way mammals do. If a reptile gets too hot, they’ll die. If they get too cold, they’ll die. They can’t curl up into a ball and get warmer — they rely on the environment to help them stabilize their body temperature. A responsible adopter will prepare for this by having functioning heating and cooling tools on hand. Each species of reptile will have their own unique environmental needs as well. Some reptiles, like the Gila monster, need a substrate that is made up of sand or peat moss. Others, like the turtle, will need a watery area and a dry area to sun themselves on. Reptiles native to hot, arid environments will have differing needs than reptiles native to jungle-like areas. There are several problems with unregulated sales. The Environmental Police aren’t here to be killjoys — their dual role is to protect both the wildlife in question as well as the general public from animals that can unwittingly do harm. Some species are on the endangered list and therefore closely monitored to ensure their continued survival. These animals are closely regulated, and licenses are required to keep them. 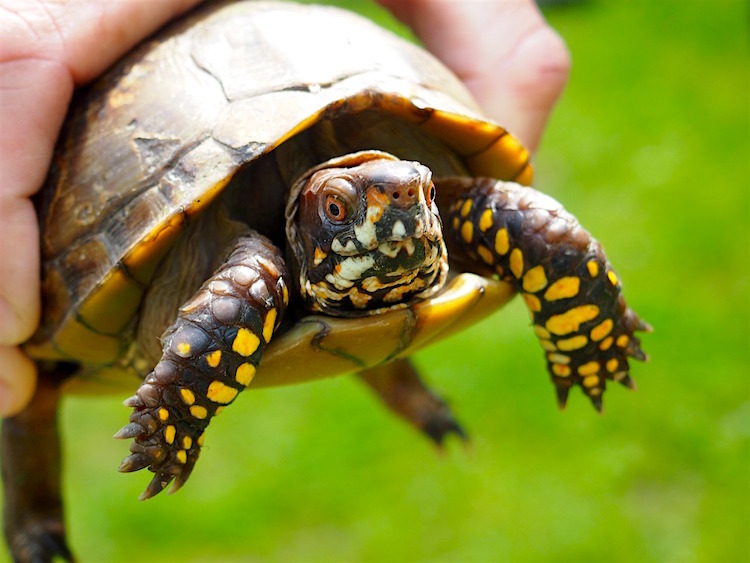 This is not driven by the need to “collect a fee.” This is to ensure that the person caring for the reptile is aware of the animal’s needs and will do everything in their power to ensure an excellent quality of life. Let’s face it — there are always people out there who purchase endangered animals because it’s “cool” to own one, not because they’re really willing to put in the labor of love that it requires. Many species of reptiles are carriers of salmonella as well as other diseases. An unprepared person who does not following strict cleaning protocols will be putting themselves and others at risk for contracting a disease. Salmonella spreads very easily. All it takes is for the person to handle the reptile without following proper hand-washing procedures, and before you know it, there’s an outbreak. Some reptiles, like turtles, aren’t going to do a lot of damage if they happen to escape their aquarium. Others however, like many species of snakes, can be fatal to humans. An irresponsible person caring for a poisonous reptile is a dangerous combination. A reptile will defend themselves if they feel threatened. Reptiles think and perceive the world differently. This is their nature and how they have evolved, and it cannot be changed. Not caring for a reptile properly — which includes the right food, stimulation, cleanliness protocols and understanding of behavior — can lead to the reptile becoming malnourished, diseased or dangerous and even cause death. People who aren’t prepared to fully care for a reptile should not keep one, period. There are thousands of amazing, responsible people out there who do a wonderful job caring for their special pets. Unfortunately, however, there are also many others who do a lackluster job, at best. These people are the reason that the laws exist and why responsible reptile adoption awareness needs to be widespread. Before selling a reptile, insist that your buyer demonstrate their knowledge of the species and show you their setup before you hand the animal over. If you are preparing to adopt a reptile, then take the time to research your chosen reptile’s special needs and decide whether you are capable of caring for them properly. At the end of the day, the real tragedy is when an animal dies because someone thought it would be “cool” to keep one.